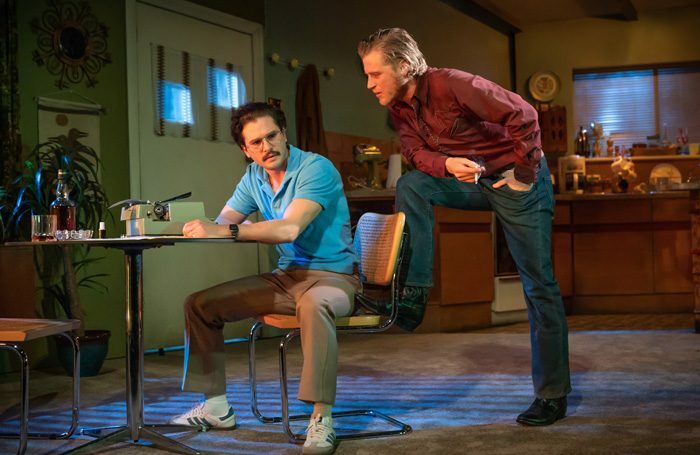 The Vaudeville Theatre, West End, London UK revival of "True West" with actors Kit Harington and Johnny Flynn ran from November 23, 2018 to February 23, 2019. This Audible Studios recording is without audience ambience so it would have been either a closed set or studio recording. There was likely more comedic play in the actual staging which is lost in this straight recording which comes off mostly as a lot of shouting between the two leads. As part of Shepard's "Family / End of the American Dream" trilogy with "Curse of the Starving Class" (1976) and "Buried Child" (1979) it is likely one of his best known stage works, but a cold recording doesn't do much for me. The brothers squabble verbally over who gets to write / take credit for a movie script while their mother's house falls into squalor around them. Then it turns physical in the end. That's it. This audiobook edition was one of Audible Studios free originals for members in April 2019. A powerful, yet funny confrontation between two brothers set in the contemporary West.